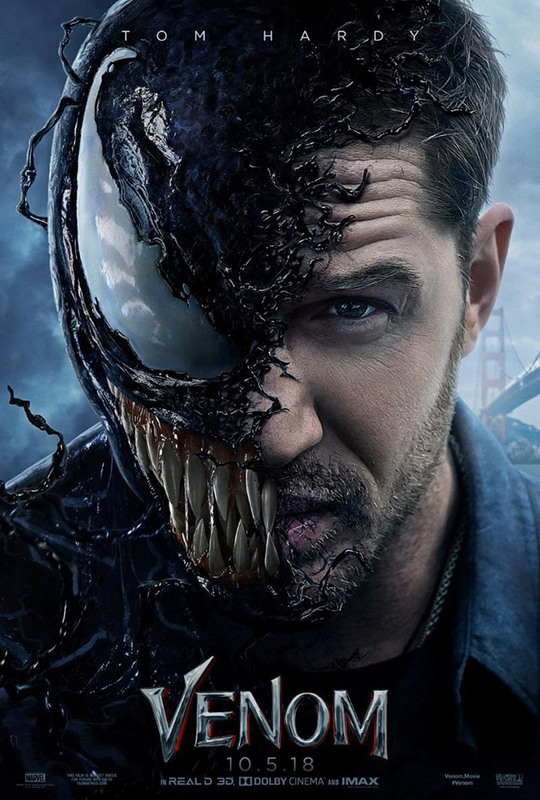 Venom follows reporter Eddie Brock (Tom Hardy) as he attempts to uncover the wrongdoings of a company known as the Life Foundation, headed by Riz Ahmed’s villainous Dr. Carlton Drake. Along the way, Brock finds that the company has discovered a new form of alien life, dubbed a ‘symbiote’. The symbiote then bonds to Brock, and together they become the anti-hero called Venom. The new official trailer has both pro’s and cons. The pro’s include some excellent production values, what looks like some cool action set-pieces, some great casting, and a nice blend of fantasy action-adventure with a bit of horror. The cons include a seemingly generic storyline, corny dialogue and some potentially average casting. I just find it hard to take Tom Hardy seriously in this role, based on this trailer. From a physical perspective, he’s perfect as Venom. As news reporter Eddie Brock however, not so much. Hardy’s known for being a bit of a mumbler, so I’m finding it hard to find him believable in this role. He is however a very talented actor overall, and has some great support in the way of Michelle Williams, Riz Ahmed, Jenny Slate and Woody Harrelson. The actual look of Venom himself looks reasonably well done from the small amount that’s shown, and it’s possible that the VFX team may still be polishing it up. Venom is directed by Ruben Fleischer and hits cinemas on 4 October 2018. Is Tom Hardy a good fit for this role?